When anything in this world begins to behave opposite to its nature, you need to pay extra heed to find out the reason behind the same and take necessary action, especially, when such incidents affect your comfort. Electronic items in our home can demonstrate such behavior as various factors can hamper their functionality and create troubles for us. And on the top of it, if the appliance has a complicated system and design, it really becomes painstaking to resolve the problem. 1. Thermostat: When it develops some faults or the battery gets exhausted, correct signals are not sent to the control board. At times, it gets set to ‘HEAT’ by mistake, for which you need to shift it to ‘COOL’. See that the fan is set to ‘AUTO’. Set it to the proper temperature. 2. Compressor: ‘Compressor is to AC’ as ‘Engine is to train’, and therefore even a tiny fault can disrupt AC’s working. Over time, it can become non-operational, due to continuous use. It can also get damaged due to excessive use or unsuitable conditions. You must get it replaced soon. 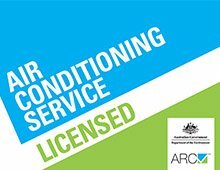 An air conditioning specialist in Sydney can check the compressor and other parts of your AC and suggests appropriate solution. 3. Air filters: If an air filter gets clogged with dust particles, the airflow through coils gets blocked, and also the cool air from the AC cannot pass through it. Thus, you receive warm air from AC. 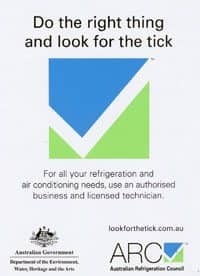 Get it checked at regular intervals and make replacements if required. 4. Condenser: Being an outdoor unit, you may skip checking it. The coils of the condenser can gather dirt particles and stop working properly. 5. Refrigerant: Leak in the refrigerant can develop due to loose connections, old hose, etc., and to get the cool air back, you must get it repaired. Avoid adding more refrigerant in the AC till the leak is repaired. 6. Electrical system: Various fuses and wires are needed to install the AC and make it running. Even if a single component of this electrical system gets defective or broken, cooling can get affected. Get necessary repairs and replacements. Though you might have an idea of what has gone wrong with your AC, it is always recommended to consult HVAC experts for a long-term and accurate solution. 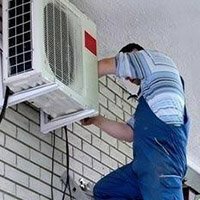 There are many companies which provide AirCon service in Northern Beaches and other areas of Sydney, but selecting the most professional among them, i.e., us makes a true difference.